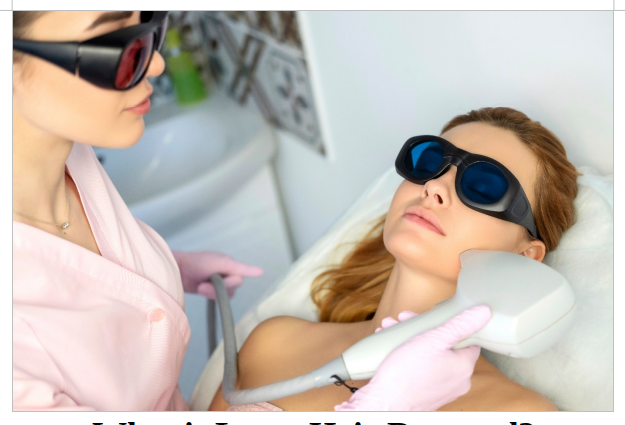 If you are not happy with shaving, tweezing, or waxing to remove unwanted hair then you should consider laser hair removal which is one of the most commonly done cosmetic procedure. It beams highly concentrated light into hair follicles, and the pigment (melanin) in the follicles absorb the light and destroys the hair. The common treatment locations include legs, armpits, upper lip, chin, and the bikini line but it is possible to treat unwanted hair in any area except the eyelid or surrounding area. It removes unwanted hair from the face, leg, arm, underarm, bikini line, and other areas. It selectively targets dark, coarse hairs while leaving the surrounding skin undamaged. It is a very fast procedure, and it can treat an area approximately the size of a quarter every second. After three to seven sessions you can see permanent hair loss. How to Prepare for Laser Hair Removal? Laser hair removal is a medical procedure that requires training to perform and carries potential risks. Before undergoing laser hair removal, you should stop plucking, waxing, and electrolysis for six weeks before treatment because it targets the hair roots which are temporarily removed by waxing or plucking. Avoid sun exposure for six weeks before and after treatment as exposure to sun makes laser hair removal less effective and make complications after treatment more likely. What to Expect During Laser Hair Removal? Before the procedure, the hairs will be trimmed to a few millimeters above the skin surface and the laser equipment will be adjusted according to the color, thickness, and location of your hair. It is necessary for you and doctor to wear eye protection, and it is also necessary to protect the outer layers of the skin with a cold gel to help the laser light penetrate the skin. After this, the doctor will give a pulse of light to the treatment area and watch the area for several minutes to make sure that everything is fine. After the procedure, the doctor will give you ice packs, anti-inflammatory creams or lotions, or cold water to ease any discomfort. Hair follows a unique growth cycle that involves resting, shedding, and growing periods. The hairs which are in resting phase will not be visible to the doctor, so a person may need to wait until it regrows before removing it. How much time does it take to recover from Laser Hair Removal? For around one or two days, the treated area of the skin will look and feel like it is sunburned. After one month your treated area hair will fall out. Apply sunscreen for the month to help prevent temporary changes in the color of the treated skin. What are the Side Effects of Laser Hair Removal? Blisters, they are rare and occur more likely in people with darker complexions. Other side effects are, Swelling, Redness, and, scarring. If you experience intense pain, a fever, crusting, blisters, or other signs of skin damage or infection then consult a doctor immediately. Does skin or hair color make a Difference? Laser hair removal works best on people with light complexions who have dark hair because the pigment contrast makes it easier for the laser to target the hair, travel into the follicle, and destroy the follicle. If you have dark skin or light hair then you may need more treatments than others and you may find that more hair grows back. How much does Laser Hair Removal Costs? Laser hair removal can significantly reduce the amount of body hair a person has, but in most people, some hair will regrow over time. To know more about laser hair removal treatment and results consult a doctor or hair removal specialist at Welona, Chennai. Welona Slimming Skin and Hair Clinic, Chennai provides the best in class laser hair removal treatment and has FDA approved laser hair reduction machine which not only removes hair but treats veins and pigmentation caused due to any damage. Old No.744, New Door No.450, 1st Floor, Poonamallee High Road, ( Opp. Pachaiyappa College ) Kilpauk, Chennai - 600 010. TN, India.